Slow living is probably one of the best-known and most popular interiors trends of the past few years, although it has been referenced as long ago as the 1980s. Closely linked with the recent popularity of mindfulness, self-care and ethical consumption, slow living promotes a lifestyle that is calm and considered – a backlash against globalisation, consumerism and fast fashion. It’s this ethos that served as the inspiration for Room 356’s new coffee equipment collection, which is made by Kinto Japan. “Carlo Petrini – an Italian political activist – termed the phrase ‘slow food’ in the 1980s as a reaction to the opening of McDonalds in Rome. It was a stand against the fast food offered by the chain, which later inspired Carl Honore to publish his book ‘In Praise of Slowness’ in 2004. 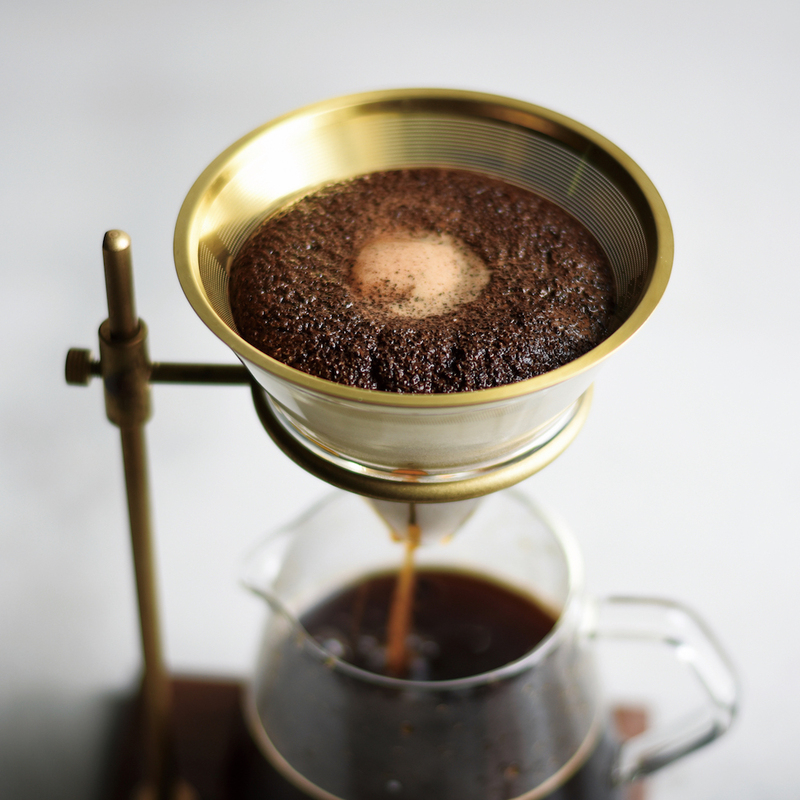 The ‘pour over method’ of making coffee is much slower than the typical instant or espresso techniques that we typically see at home or in coffee shops. 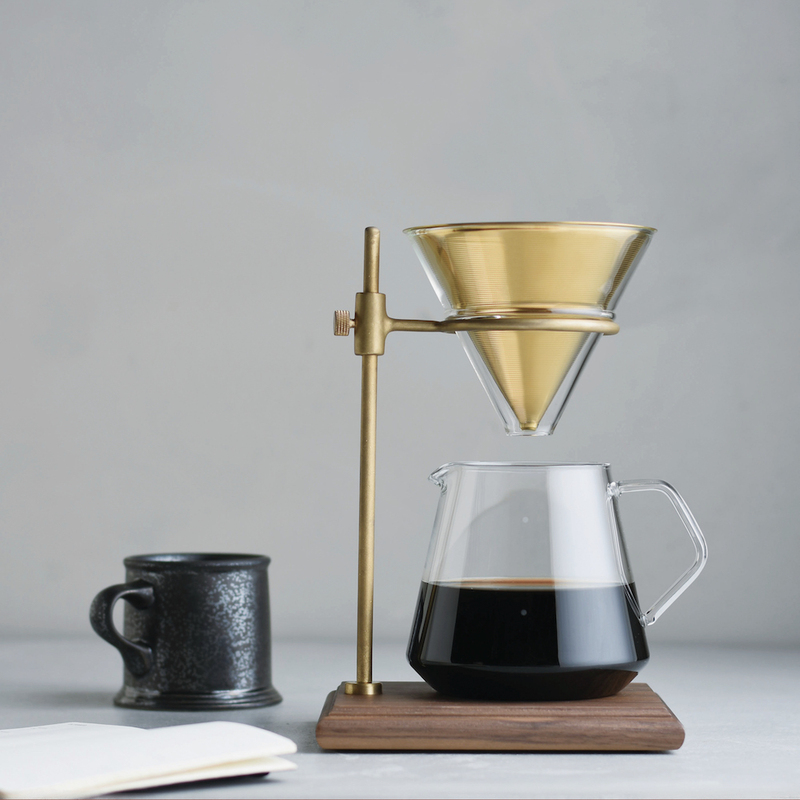 It appeals to those who value quality over speed; who see brewing coffee as an opportunity to take time out and enjoy the process – the smell of the beans being ground, the sound of the coffee dripping into a glass carafe, and the taste when it’s ready to drink. Once the need for speed is removed from the equation, coffee brewers can be quite simple. These pieces of kit are minimal and functional, designed to be a pleasure for a coffee-lover to use. The glass carafes can be fitted with either stainless steel or porcelain filters, and there’s even a full stand with a brass arm and wooden base. Mugs cost £13-23, brewer sets cost £25-180; all from Room 356.